City Discount Tyres Nailsworth are your locally owned and operated tyre fitters, auto care and car service specialists. City Discount Tyres puts customer care first when servicing Nailsworth, Prospect, Walkerville, Klemzig, Enfield, Croyden Park and surrounding Adelaide suburbs. With exceptional knowledge and experience across a wide range of tyres including: . We stock a genuine variety of brands for an extensive range of vehicles including passenger cars, SUV’s, commercial vehicles & light trucks at the most competitive prices. Not only does City Discount Tyres Nailsworth provide great advice on the best range of tyres, we offer a great range of services including Wheels, Servicing, Tyre and Wheel Packages, Aftermarket Accessories, Complete Exhaust Systems, Batteries & Finance Options. 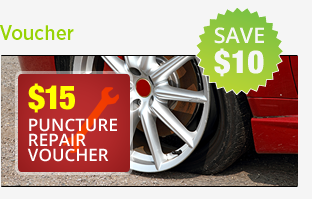 City Discount Tyres Nailsworth has state of the art fitment and wheel alignment machines. Each stress free visit to City Discount Tyres Nailsworth is quick and easy and we’ll have you back on the road in no time. See current Nailsworth City Discount Tyre Specials. Let our experienced staff at City Discount Tyres Nailsworth take the hassle out of your next car service. We specialise in all your vehicle needs and are equipped and expertly trained to service all vehicles, from small cars right through to SUVs and light trucks. Just as important as tyres is the efficient running of your vehicle. Small problems now can lead to major repairs in the future. City Discount Tyres Nailsworth can give you an honest appraisal and discuss with you the full extent of repairs to your vehicle upon completion. Ensure you car’s steering and balance is aligned with City Discount Tyres Nailsworth latest equipment. An out of balance alignment leads to forced wear and tear on your vehicles tyres which can prove to be costly in the long run. Drive smooth again with a wheel alignment at City Discount Tyres Nailsworth. 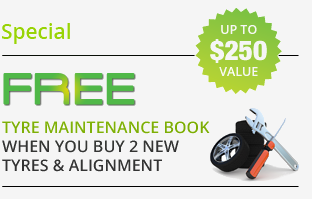 Our staff can provide you with expert knowledge of your cars wheel alignment & balancing. The quality of your cars ride is largely due to its suspension and steering. It’s crucial to your cars safety that these components are all in working order so they don’t cause any unwanted wear and tear on steering components and tyres, and your ride stays comfortable. If your car has any issues with suspension that are concerning you, don’t hesitate to mention it next time you drop it off, but we can also perform a free suspension check, plus we always check vehicles whilst we have them in for servicing. City Discount Tyres Nailsworth has a large range of wheels to suit every car, van or light truck. From the family SUV or 4x4, to light commercial vehicles. Come in and see our full range and speak to one of our highly trained staff today. Try our wheel selector now. Just select your vehicle and you can try any of our great variety of wheels on an image of your car. It’s that easy! 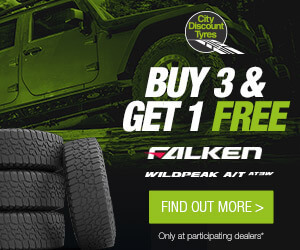 City Discount Tyres Nailsworth is your number 1 stop for your tyre needs in Nailsworth, Prospect, Walkerville, Klemzig, Enfield, Croyden Park, Adelaide and beyond. From balance and pressure to examination, rotation and general tyre care, We can assist you with any enquiries. At City Discount Tyres Nailsworth, our aim is to provide the best price on the best tyres for your car. We stock a great variety of brands in store and our expert staff will fit the right tyre to your vehicle. Don’t hesitate to drop by today, or give us a call on 08 8344 1955 to discuss your tyre needs. Our friendly staff will always be on hand to check that your battery is secured & in full working condition. Make sure you have piece of mind with our FREE battery test that can avoid those tricky situations. An often-overlooked part of a vehicle is the charging system. Our experienced mechanical team can run a free diagnostics test to make sure that your system is in good health and won’t let you down. Your safety is of the utmost priority to us at City Discount Tyres Nailsworth, and whether it’s the family SUV or a light commercial vehicle, for piece of mind you want to know you’re brakes have been installed & serviced correctly by experienced fitters. City Discount Tyres Nailsworth are proud to be able to supply Akebono Performance ceramic brake pads to suit many makes and models. With Ceramic technology, these brake pads are an ideal upgrade or replacement solution for your car. We have three pad ranges available at City Discount Tyres Nailsworth, so we’ll be sure to have a set that fits your vehicle. The overall performance and running of your vehicle for safety & affordability can be vital in the long run. Our mechanics are fully trained on all the latest vehicles and offer a full range of vehicle inspections for most makes and models.